Welcome to North Mecklenburg Animal Rescue. We are a private, donation funded, no kill rescue. Our mission is to help end pet overpopulation, abandonment and neglect. We provide care and find homes for dogs of any breed, age, or medical need. We have found homes for over 2,000 dogs in the last 10 years. We hope to have this number keep growing as we strive to save these sweet souls. Thank you for your support, we couldn't do what we do without it. We are in the process of building a new website right now which should hopefully be up and running next week. As this is happening, this website is a little behind on updates. 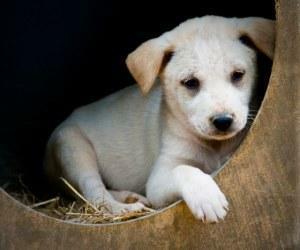 Please go to our Petfinder page at this link to see all of our current available dogs and puppies. We have some INCREDIBLE news to share. We have been working feverishly--and covertly- to find a building that met our needs back in Charlotte. It has been a long, and nail-biting, process to say the least! There were zoning changes that recently passed allowing this to be an option and Pepsi was kind enough to OK the change of use from building in Old Fort to buying in Charlotte so we could come back HOME!!! And....WE HAVE CLOSED ON A BUILDING!!!!!!!!!!!!!!!!!!!!!! Can anyone work with us/give us a good deal in any of the following areas? Help with fencing. In some areas we need to be able to put up 8' fences. This is such an amazing thing for the rescue and our dogs. So many of you have helped us by voting and giving donations or supplies. THANK YOU ALL FOR HELPING TO GET OUR DOGS THE KIND OF HOUSING THEY NEEDED. Danielle, Beth and the pups. We did it!!! We can't thank you all enough for all of your support and voting. We have received our first check from Pepsi and the building will be starting soon. While we were greatly hoping to be able to bring the dogs back closer to Charlotte we have yet to find a way to obtain land to make this happen. At this point we will be constructing the building up past Hickory in Old Fort but will continue to do adoptions and events in the Charlotte area. The planning and construction will be a long process and we still need to get as many materials and services donated as possible. If anyone has any contacts or ways to help please let us know. While this is such an honor and will help us provide a safe building for the dogs we have, we still rely on the amazing support of the people who help us with the day to day operations and expenses. We could not do what we do without all of you and thank you from the bottom of our hearts. We will keep you posted as this project progresses. FOOD LION MVP #s Needed!! Please send us your name and Food Lion MVP card number for us to register. Once that is done the rescue can earn money every time you shop!! It is that easy, nothing more needs to be done. We need all 12 digits from the back of the card. You can send to: nmeckanimalrescue@yahoo.com. Congratulations to Gunny and Amy for winning the Tractor Supply's Uncommon Bond Contest!!! You are an amazing pair! Thank you for earning the rescue a $500 gift card.